I’d like to introduce you lot to the excellent Foods of England project. 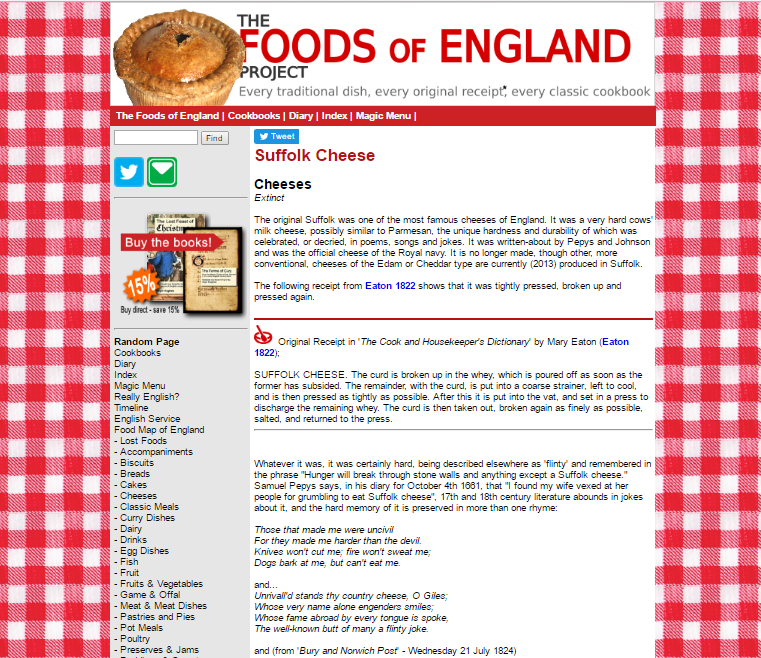 I particularly liked its entry for Suffolk Cheese, a product that is no longer made for reasons that will become obvious. Until the mid-18th Century it was used by the Royal Navy to feed its sailors, but by all accounts it was dry, salty and so hard there were many stories and jokes about the difficulty of eating it. Other sea related entries are hardtack or ships biscuits (a nuclear bomb test was named after them), grog, bumpo, and Cheshire cheese (another Naval staple). My thanks to Sarah Coxson for the tip! He’s now working for Ashley Butler down at Dartmouth and is very happy with his new life, according to an interview he has given to Careershifters.org. At Butler & Co, he’s currently working on Pilgrim, an 1895 Brixham sailing trawler. 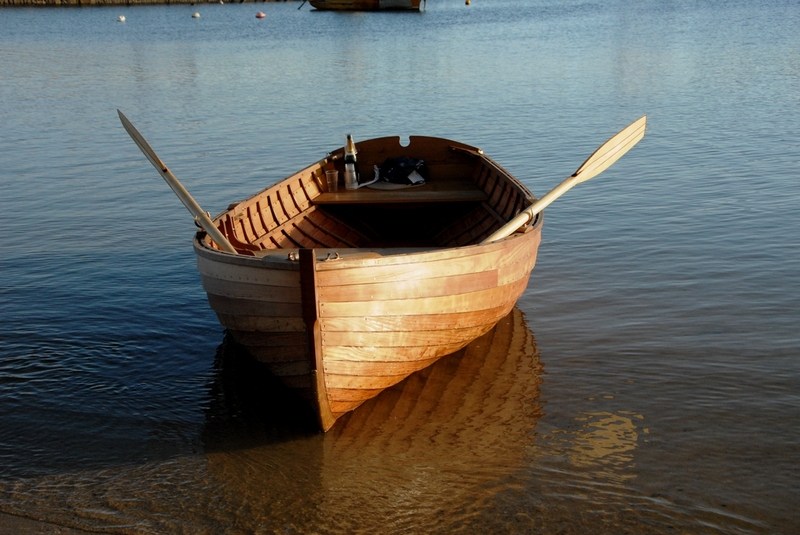 Before coming to boat building Marc had been carving a career working in the NHS for a primary care trust, a role he found ‘frustrating, soul destroying and generally unfulfilling’. He told Careershifters that making the change was easy: he split-up from his ex-wife, resigned from his job and enrolled on the boat building course with the Boat Building Academy. I suppose it sounds easy if you say it quickly. He also added that the work itself is very hard physically as it involves big lumps of wood and working outdoors in all weathers. I can believe it. One of the enduring underlying themes of this weblog is that there’s something special and admirable about those who build and maintain traditional boats – they’re definitely made of sterner stuff than most of us. Marc’s weblog reveals more about his new life: click here. PS – Do check out the Butler & Co weblog – they found WWII bullets in one of the timbers!